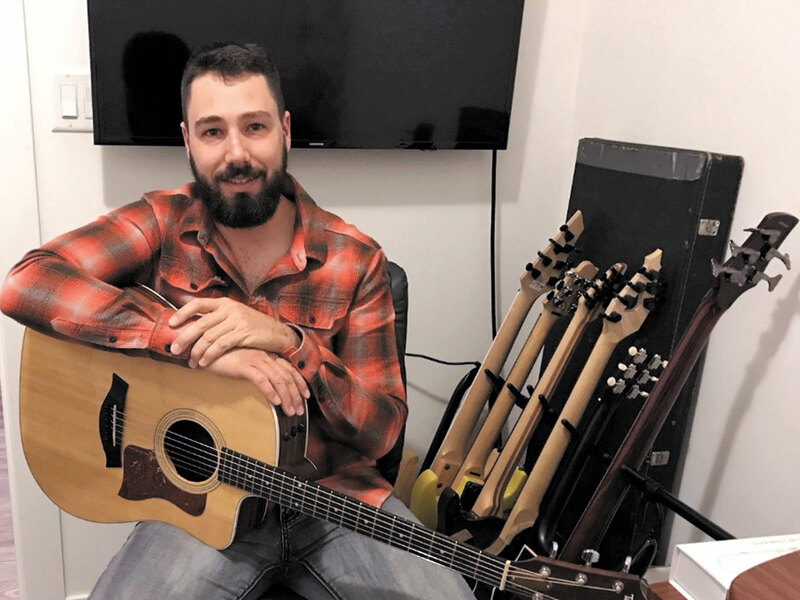 Guitarist Leading Seaman Dany Nadeau is striking a new chord by sharing his musical skill with the military community. Registration is now open to take 30-minute lessons from the 29-year-old, who has been strumming for over a decade. Teaching in a classroom setting at the Colwood Pacific Activity Centre is a new beginning for LS Nadeau, who has served eight years in the Canadian Armed Forces, and previously as a private-sector millwright in his home province of Quebec. He began playing the guitar at 17, purchasing a cheap imitation Stratocaster from a local music shop to emulate his musical heroes such as famed guitarist Darrell Lance Abbott (Dimebag Darrell), a founding member of heavy metal bands Pantera and Damageplan. Today his taste has evolved slightly with his biggest influencer being Tosin Abasi of Animals of Leaders. “Really I’m a fan of all types of music and the key for me in my lessons is to make the music fun,” said LS Nadeau. Lessons are one-on-one, tailored to the individual and will have the student’s goals as primary focus. They span from early September to late November on Tuesday and Thursday evenings between 5 and 7 p.m. Fees for a package of four lessons are affordable at $5 for currently serving military members and $8 for Department of National Defence (DND) employees, $10 for all others. LS Nadeau says he will even supply one of his spare guitars if a student does not have one to play. For full details about the program and payment option, visit www.cafconnection.ca/esquimalt.